rubber moulded diaphragmsDiaphragms can be manufactured to suit a wide variety of applications, which can be found in all sections of Industry. 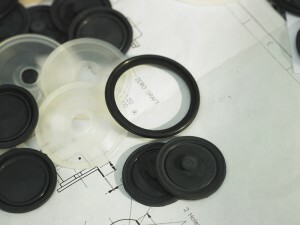 We can advice and guide you on materials and manufacturing processes for your rubber moulded diaphragms and have a wealth of experience in prototyping moulded diaphragms. These also include rubber moulded gaskets, Pump & Valve Diaphragms, rubber diaphragm seals, silicone gaskets, silicone gasket manufacture and much more.